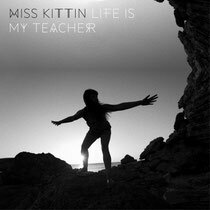 Miss Kittin returns with the single ‘Life Is My Teacher’ which is now available as a free download on www.misskittin.com. The song offers up a glimpse of Kittin's third album, the self-produced double-CD ‘Calling From The Stars’, to be released on wSphere Records on April 22, 2013. The album offers up all of the elements that have made Miss Kittin one of the most popular names in electronic music: simple yet evocative lyrics set to an undeniable electro-flavored techno beat. It also showcases a new side of her, that of an artist unafraid to reveal her inner emotions and beliefs. Eager fans will also be treated to three more new tracks on the ‘Life Is My Teacher’ EP, including exclusive cut ‘I.L.A.N.E.N.O.’ and ‘Tamarin Bay’, both of which reflect the album's second disc of '90s-inspired ambient techno. DJs, meanwhile, should like the dark narcotic remix of ‘Life Is My Teacher’ from Spanish duo Borderline. The EP is out now.